Flare is the common disturbance if you are taking landscape photos without using a lens hood. Digital editing is the only solution to remove flare from a landscape photo. There are a bunch of tools which you can use out there, including GIMP. 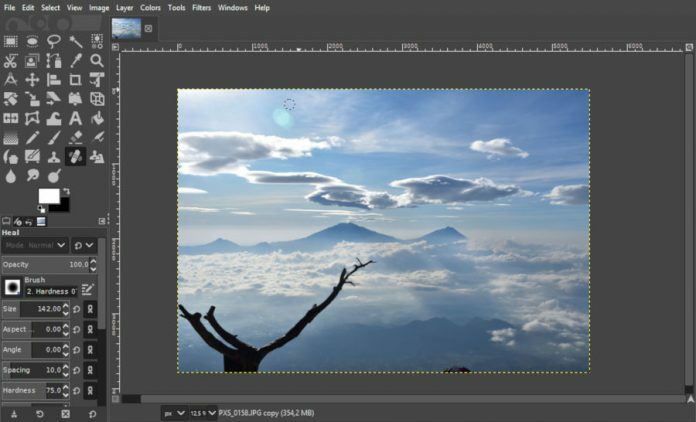 GIMP is a free image editing tool alternative to Photoshop. It features Healing Tool which you can use to remove lens flare from your landscape photo. This post will show how to use Healing Tool in GIMP to remove lens flare. 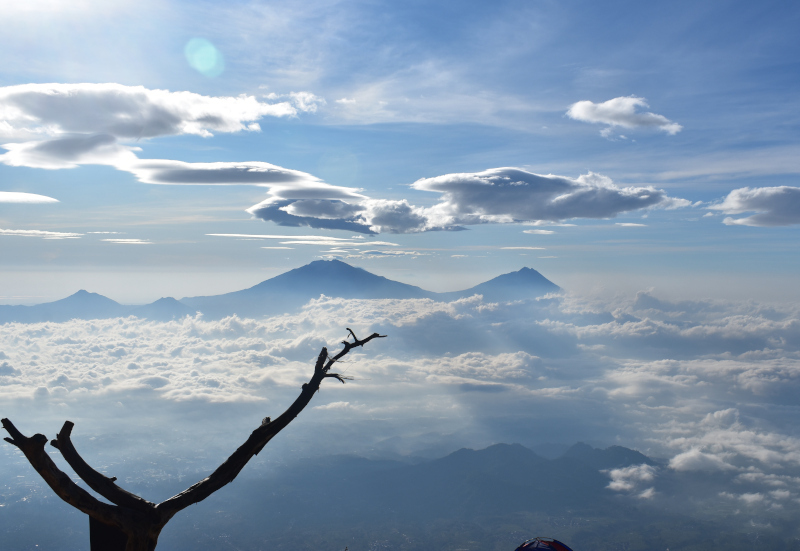 Take a look at the landscape photo below. As you can see, there are flares on the upper left area of the photo above. We are going to remove them using Healing Tool in GIMP. Healing Tool itself works by copying a certain spot/area within an image to another spots. In this case, we are going to copy an area that contains no flare to replace the flares. First, launch GIMP and open the photo you want to remove the flares from. Duplicate the layer of the photo. This will allow you to preview the original photo and the edited photo. 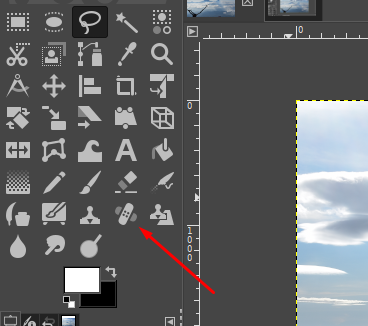 With the duplicated layer selected, activate the Healing Tool by clicking its icon on the GIMP Toolbox (Ctrl+H). Press the Ctrl button on keyboard and hold. Select (click) an appropriate area to replace the flares. 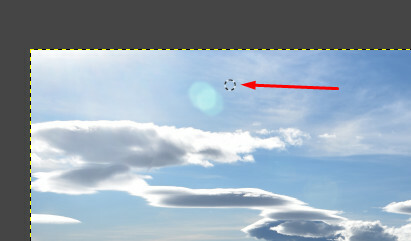 In this example, we select the cloud area around the flare. Release the Ctrl key and brush the flares area. Repeat the steps above to remove other flares within the photo. 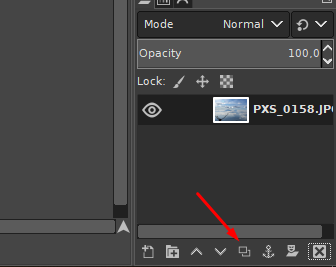 You can set the size the brush according the flare size you want to remove. Read our post here to learn more about Healing Tool in GIMP. In addition to removing flare, you can also use Healing Tool to remove other flaws on a photo like facial blemishes. Following is the result of the example above.